Hard find! 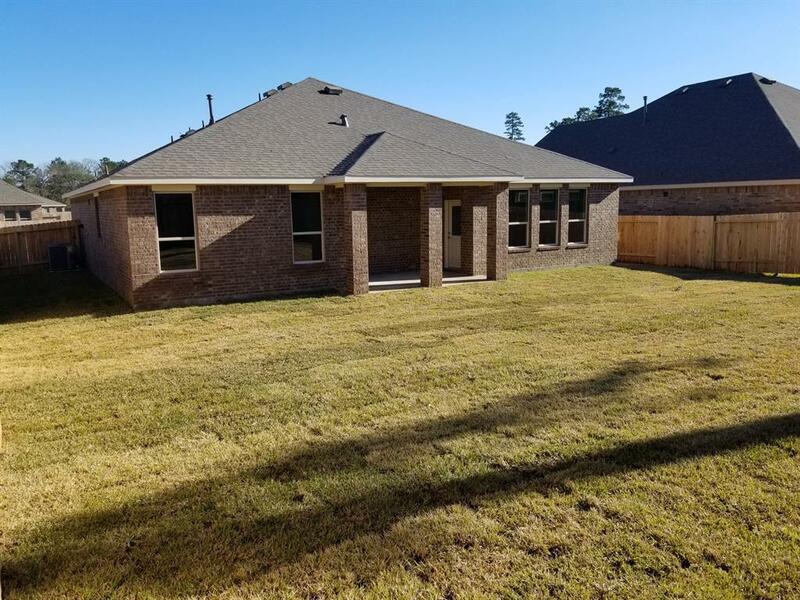 Located a few miles from Interstate I - 45 and zoned to Woodlands Schools! Everything fits together beautifully in this craftsman style home. Covered patio presents a bright place for multi-season outdoor enjoyment. Spacious Master suite with large walk-in-closet and sizeable master bathroom. The two additional ample bedrooms have direct access to the full bath, plus a flex room! Ample family room space is opened to the dining room and kitchen with granite countertop, 42 cabinetry, and great stainless steel appliance package complete this home, giving it an appeal that is sure to be a best seller! Also includes a tankless water heater and sprinkler system. Oversized homesite! Hurry and call today! You don't want to miss this one!